Zimbabwe's faltering economy is taking its toll on motorists who are abandoning their cars in garages for long periods due to lack of funds. Recently, Duly Trucks Motors released a statement notifying the public that a vehicle which had been unclaimed for five years after being towed and stored at their premises would be publicly auctioned. This is the perpetual ordeal which many garages have been facing. 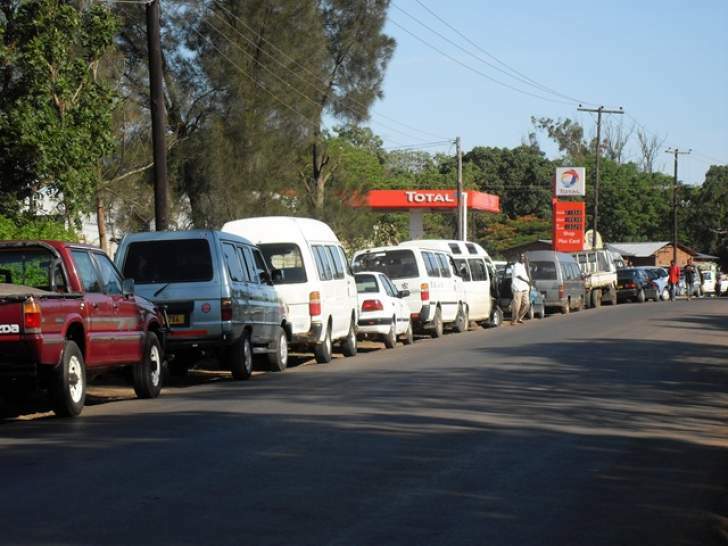 The country's rising cost of living, amid shortages of fuel, has worsened the plight of motorists who are choosing to fund basic commodities for subsistence — canning garage bills that are not considered to be a necessity. One garage owner said motorists were dumping cars at their garages as they grapple with the economic disorder rattling markets. "We are coming across people who leave their cars and appear after two or three months to collect them. "When the person comes again, the value of the car service would have gone up and the person has to go and look for extra money — meaning the cycle will begin again and again," said the garage owner. "The economy has mostly affected our customers so we don't blame them," he added. Many car service garages throughout Zimbabwe are full of grimy hoary cars, which have been parked for years. Whilst many motorists have decided to store their lifeless cars at home, others have taken them for service at affordable garages but still have failed to pay due to changed circumstances. While the economy has taken its toll on both the motorists and garage owners, it is worse for self-employed mechanics who may end up not getting any payment at all. Some garages are faced with little or no option at all but to recoup their expenses through auctioning of the vehicles to cover costs of storage and services. Issau Chiutsi from Auto-field Garage in Harare showed the Daily News crew some of the vehicles that had not been picked up by their owners, resulting in their owners incurring a dollar per day for storage of the vehicles, depending with the circumstance that has caused the owner to leave the car. "We try to avoid keeping these cars here for more than six months. "We do have a few people from high-ranking places who also leave their cars as well, though they are a few. "We at times even remove parts waiting for replacements from the owner who does not show up", he said, pointing to some unhinged parts of one car whose owner had left for repairs and had not returned with new ones for service. Some up-town garage owners now have service policies to protect them from such ordeals by demanding payment up-front before they can attend to a client's vehicle.